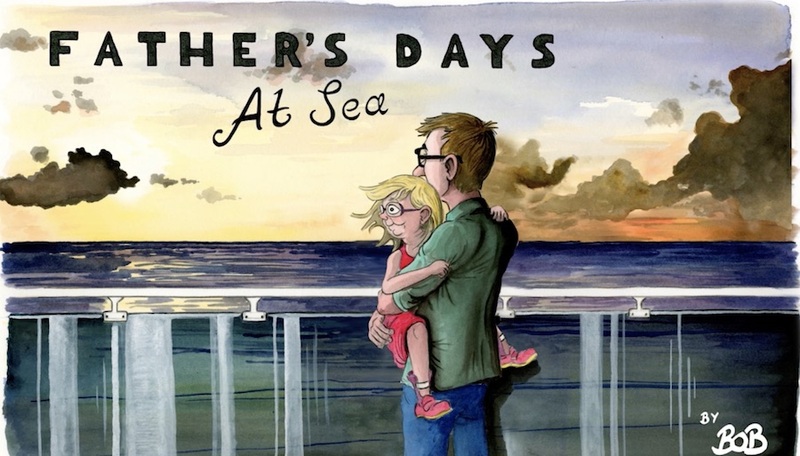 Here’s one just for Father’s Day: Bob Moran’s animated cartoon, Father’s Days at Sea, is a truly charming and touching tale about his family’s first cruise with their daughter Poppy, who has severe special needs, and their young son. At first, his anxiety about Poppy’s safety and the unexpected discomforts of the cruise weigh him down, but once he starts seeing things through her eyes, the trip becomes a delight. 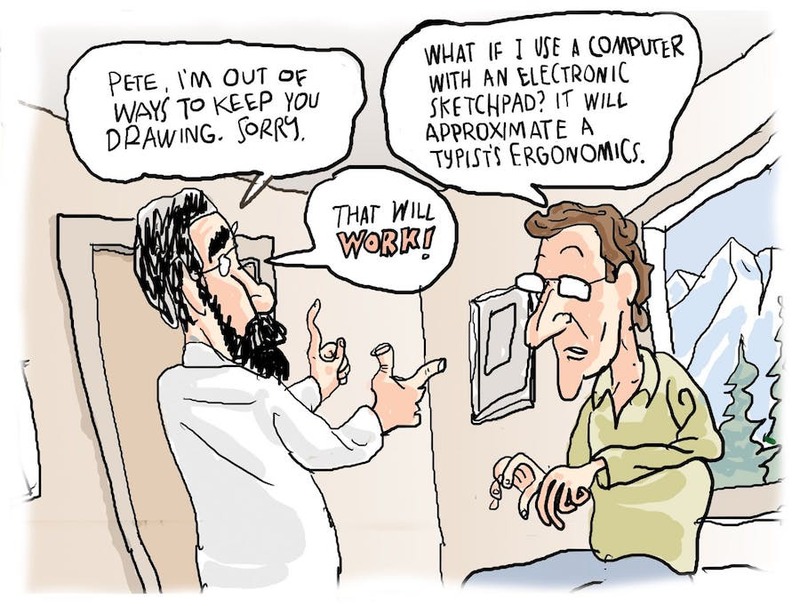 At The Nib, Peter Dunlap-Sohl posts My Parkinson’s Can’t Take Cartooning Away from Me, which starts out with his initial diagnosis in 2000 and goes through the adjustments he has made, including learning to do cartooning on a computer—and adjusting his style accordingly. 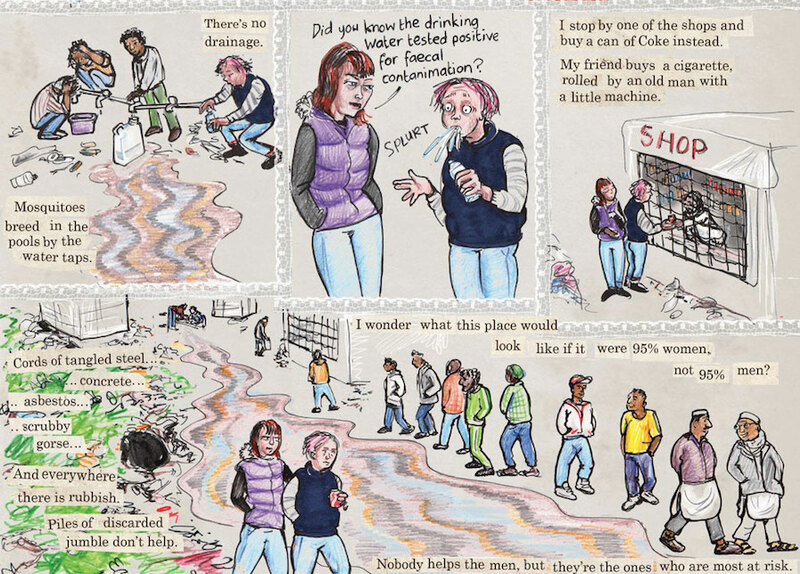 Kate Evans’s graphic novel Threads, chronicling her experiences as a volunteer working with refugees at the Calais, France, refugee camp, will be published in mid-July, which makes this a good time to revisit her original cartoon, to which she has added a new chapter from the upcoming book. I interviewed Evans in 2015, when the original cartoon came out, about why she went to Calais, what she saw there, and how she went about drawing the comic.